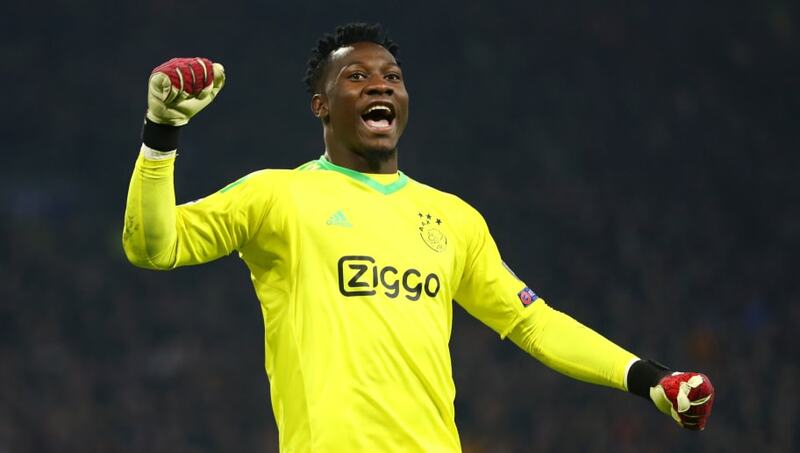 Barcelona are considering Ajax goalkeeper Andre Onana as a potential replacement for Jasper Cillessen as club's number two from next season. Over the last few years, Marc-Andre ter Stegen has solidified himself as one of the top goalkeepers in the world and Barcelona view him as an instrumental part of their future - while his rise has kept Cillessen firmly as the second choice. Cillessen is expected to depart Camp Nou this summer as a result - he was linked with a move to the Premier League last summer - as he will look to move on for more first-team minutes, and the team have already begun preparations to replace the Dutch international. His exit would leave a slot for Onana to come into the squad. Onana has been a wall in goal for Ajax this term, keeping 14 clean sheets in 22 league matches, and he has history with the Spanish champions. He was a part of Barcelona's youth teams until his move to Ajax in 2015, so the club see it as a seamless transition. Barcelona are said to value the Cameroonian international's quality on the ball and will train him to be a better shot stopper. First reported by AS, Barcelona are looking for a fee north of €60m for Cillessen and are keen on reinvesting this money into his replacement. Onana's fee, according to the report, shouldn't be north of €20m. In the same report, it is revealed that the technical management at ​Barcelona have a three-man shortlist for the position - with one of them being Onana. Onana has previously stated that it would be a 'dream' to return to the Camp Nou, but despite being open to the idea there has been no direct contact between the player and club. Barcelona continue to prepare for the double-Clasico set to take place on Wednesday and Saturday nights respectively.